As early as the start of the 21st century accelerometers could be produced that were cheap enough and compact enough to be incorporated into a variety of everyday devices. Mobile phones and tablets used these components to detect which way up a device was and modify the screen display accordingly. Other applications used them to monitor the carrier’s motion and speed. Game controllers used them to allow the user to play games using physical movement of the controller. Inevitably more lethal applications for such technology were exploited. Many of the economic and political elite play golf. 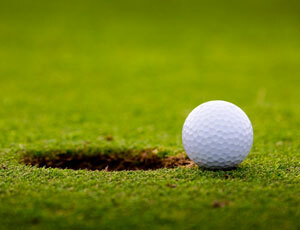 The whaup is an assassination or kidnapping device that externally resembles a standard golf ball. Its interior incorporates accelerometers and a super-quick (SQ) fusing mechanism. The mechanism can be programmed so that the fuse arms at a pre-programmed time, ideally just as a round of golf has been started. The whaup can also be programmed to disarm at a set time if it has not been detonated. Handling an armed whaup, moving it or hitting it with a golf club will cause it to detonate. Sensitivity can be reduced so it is only detonated if hit. The super-quick fuse ensures that the golfer triggering the device will be within the effect area, no matter how fast he can hit a ball. Whaups are sometimes dubbed “nitro-balls”. This is due to their apparent sensitivity rather than the use of actual nitroglycerine. Standard warhead for a whaup is an octonitrocubane HEI-fragmentation type that does 4d cr ex damage and [2d+1] secondary cutting fragmentation damage. Custom features such as toxic or x-ray invisible fragments are sometimes encountered. The explosion of a whaup will also have an incendiary effect as per [4e p. B105]. This is, of course, very bad for the green! Alternately a whaup can contain eight doses of chemical or biological agent. Whaups are too small to contain cyberswarms and not suited to hollow-charge, HEMP or SEFOP warheads. A whaup can be planted in a golfer’s bag and programmed to arm when the golfer is scheduled to play next. A disadvantage of this approach is that the whaup may be triggered by the caddy rather than the intended target. Another approach is to replace a ball in play with a whaup and wait for the golfer to find the ball and play another stroke. Being in the right place and the right time and replacing a ball unobserved in the relatively open terrain of a golf course has its own challenges. Small cybershells have sometimes been used to achieve this. Whaups are highly restricted devices. Black ops agents of highly covert agencies may have access to them. More usually the user may obtain them from the black market or construct their own. Just locating and obtaining a whaup may be a major task in itself.